Kitchens always personalized and customized for lifestyles and budgets with shapes and details of practice tailoring. Kitchens designed on the basis of ideas and emotions, combining creativity, innovation, technology and traditional craftsmanship Made in Italy outside the box of the standardized offer. 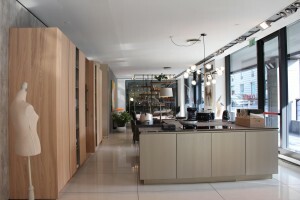 The TM ITALIA kitchens always satisfy customers with different needs and different demands due to the unique collection of kitchens tailored one-to-one that combine automation and technology space, design and quality, characterized by the use of valuable materials. Are you interested in TM Italia?